Visitors to Milan who are looking for a one-day or weekend getaway from the hustle and bustle of the city can enjoy an out of town tour to Cala Loca, in the province of Varazze. 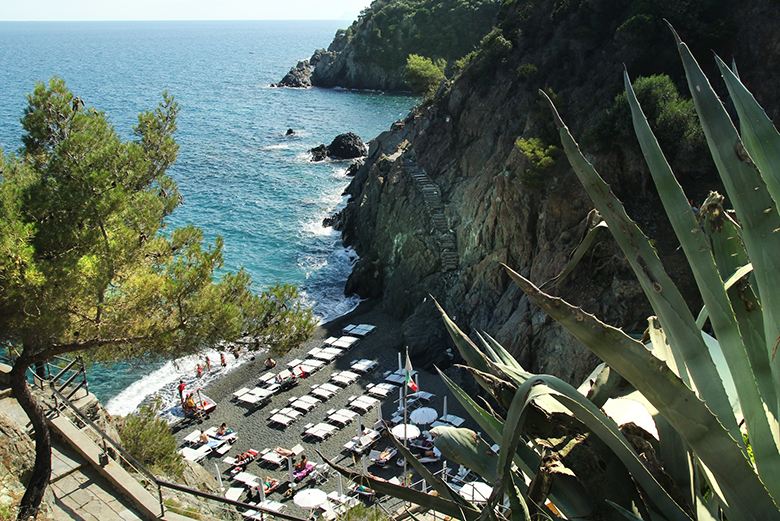 Nestling within a natural bay on Liguria’s Riviera del Ponente and surrounded by unspoiled nature, Cala Loca is located in the Beigua Park, a UNESCO World Heritage Site and the largest Geo-nature park in the whole region of Liguria. Here, amidst typical Liguria-style pebbly beaches and sparkling azure sea, guests can conjure up relaxation at the beach fully-equipped with seabeds and beach umbrellas, enjoy the best of the traditional food and wine of the region or try a selection of activities in the open air. Among the best activities, guests wishing to enjoy a relaxing walk immersed in the local nature can take advantage of a selection of pedestrian and bike itineraries within the Beigua park, but also take a tour of the local wine producers and admire archaeological and natural sights. Moreover, Cala Loca offers its guests the opportunity to enjoy kayak or stand-up-pad sessions. The area is also renowned for its enogastronomic delights, a tantalizing blend of traditional flavours upgraded with a creative, contemporary twist. Cala Loca, indeed, pays tribute to the local cuisine with different options, which include a quick and healthy lunch menu and a more complete offer for the dinner. Connoisseurs of taste wishing to purchase top-quality products from the region of Liguria can also take advantage of Cala Loca’s Bottega Ligure online store and have their favourite products delivered within 48 hours.